More Than a Nashville Moving Company We're "Helping Transitions… in the Game of Life." 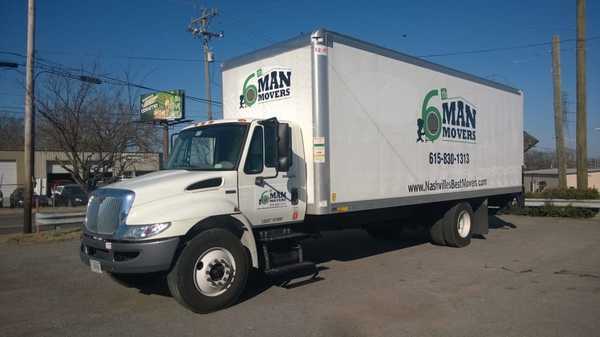 6th Man Movers is a fully licensed, bonded, insured, and BBB accredited Nashville moving company with an “A” rating. We service residential, commercial, local, and long distance moves. Locally owned and operated, 6th Man Movers offers a moving experience that is unmatched by other Nashville moving companies. All of our movers are background checked and clean cut. We avoid temps, day laborers, and hired help. We believe we have the best movers in Nashville and would love for you to meet them! Professional is very important to us and we will always come prepared to do the job well. Our Nashville movers employ years of experience as well as innovative solutions to get the job done safely and efficiently. We take great pride in our customer service and want you to feel comfortable and safe about your belongings. Check out our reviews to see what other customers have said about us!